We are gearing up for Fuentek’s webinar designed to help TTOs put their interns to work on technology screenings. So, we’re taking stock of our own lessons learned from tech transfer intern programs. 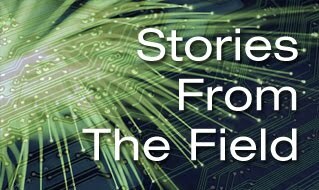 This Story from the Field is based on Fuentek’s real-world experience with training tech transfer interns at a major research university. The tech transfer office hired interns to begin work at the start of the fall semester. Kick-off training sessions were held in late August and early September, before academic classes ramped up. These sessions provided an overview of the tech transfer process. They also gave basic information about the stages of intellectual property (IP) management. After this critical hands-on part of the process, each intern continued to conduct screenings independently. Early on, the Fuentek mentors reviewed each of the completed reports as a quality assurance step. Mentors provided feedback for changes or improvements as well as any needed follow-up discussion. When interns are first learning, have them focus on the key elements of screenings. As they become more familiar with the process, interns can focus on the more subtle but very important aspects that help them put together an effective rating and recommendation that is valuable for the TTO. We also found that the progression from in-depth training to hands-on mentoring to more independent work with follow-up reviews let interns benefit from feedback during or immediately following each screening. This allowed them to quickly adopt improved techniques and gain additional confidence for each subsequent screening. Fuentek and our university client saw clear improvement in the interns’ work over the course of this process. Our training also highlighted the value of providing guidance on more than one screening. Advising interns on variety of screening assignments helped them develop their skills more fully. They could then effectively navigate the evaluation factors as they began to work more independently. Are you getting ready for your summer interns to arrive on the scene? Fuentek can help you benefit from these lessons learned and many more. We have a webinar recording that will help your interns hit the ground running with technology screenings. And if you are thinking about launching a new intern program, check out our white paper on setting up an effective internship program. Or get in touch with us to see how we might be able to help you get started!